Welcome to Pie Town, a community built on apples and butter. Business here is no cake walk, so manage your operation well and keep your secret recipe secret. 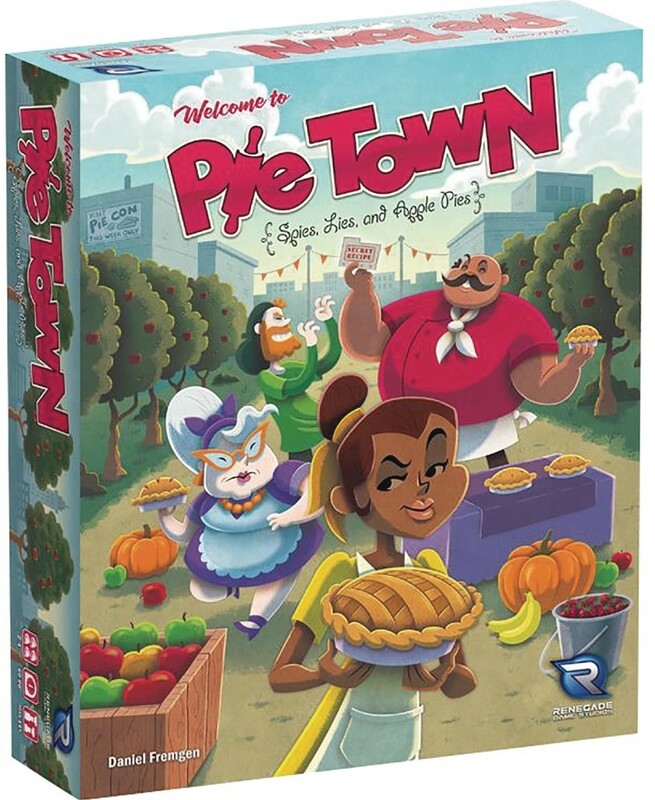 Pie Town: Spies, Lies, and Apple Pies is a worker-dice placement game with hidden information. You need to manage your constantly changing workforce to harvest, bake, and sell pies while deducing other players' secret recipes! Now is your chance to become the best pie shop in town!